WOODRIDGE, IL & ALLENTOWN, PA – Hendrickson, and Mack Defense, LLC, announced they have received a contract award from the U.S. Army for PRIMAAX® EX suspension systems on all new Mack Granite®armored and armor-capable dump trucks. Bids were submitted beginning in June 2017 and production will continue through May 18, 2025. Mack Defense LLC of Upper Macungie Township has landed one its largest contracts in recent memory, a deal that has the potential to keep the Mack Trucks’ subsidiary busy for the next seven years. Mack Defense LLC of Upper Macungie Township has landed a contract that will bring some work through the Lehigh Valley over the next five years. Robert Gordon, senior director of business development for Mack Defense, said the company is one of several recipients in the contract, which has a maximum value of $82.4 million. 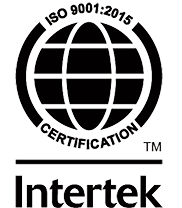 ALLENTOWN, PA (April 9, 2018) – Mack Defense recently earned its Environmental Management System (ISO 14001:2015) and Quality Management System (ISO 9001:2015) certifications.